Ana Costa is one of the best samba singers of the present time and one of the most requested of this generation. With a successful career, the singer, composer and guitarist earning her third nomination as best samba singer at the 2016 Brazilian Music Award, being “Revelation” at the 5th Rival Petrobras Music Prize and she was considered “one of the best talents of 2006”. During her career, Ana has made numerous special guest appearances, including the Disney Aventure in Samba CD, where she sang alongside with renowned samba singers and the multiplatform project “Sambabook Martinho da Vila“. Ana began singing in 1990 and playing samba; she participated in Couer Sambá group, founded the Roda de Saia group which she was part for 11 years and performed in Mart’nália’s band, as a guitarist. She was able to put into practice her old desire to make a comprehensive and faithful music to Brazilian rhythms, detached from the commitment to trends or idioms, always seeking new horizons. Ana revealed her passion, tenderness, affection and gratitude for the samba world. As a composer, Ana has partnerships in her three released albums. 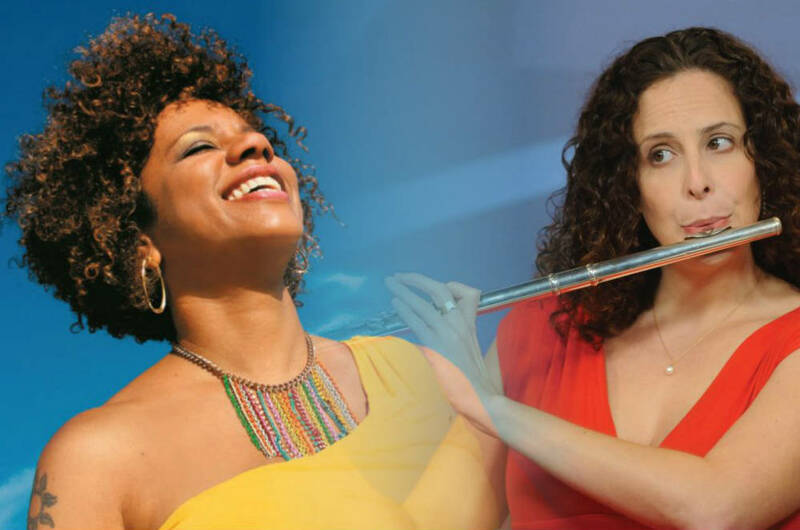 In this Hot Jazz summer concerts she will perform with the The Israeli Choro Ensemble- Chorole .Chorole combines leading Israeli musicians with Brazilian artists who met due to their mutual passion for Brazilian music. The group developed their own unique sound, a mixture of typical Brazilian Choro style with Jazz influences, eastern flavor and Israeli music. Recanati Auditorium, Tel Aviv Museum of Art. Abba Hushi Center for Culture and Society, Haifa. A special children’s show as a part of the “Hot Jazz for kids” series: “Brazil is all rhythm” with the same mentioned performers and hosted by the conductor, composer and Stage performer Roni Porat, will be held on Saturday, July 21st, 2018, 11:00, at Recanati Auditorium, Tel Aviv Museum of Art.